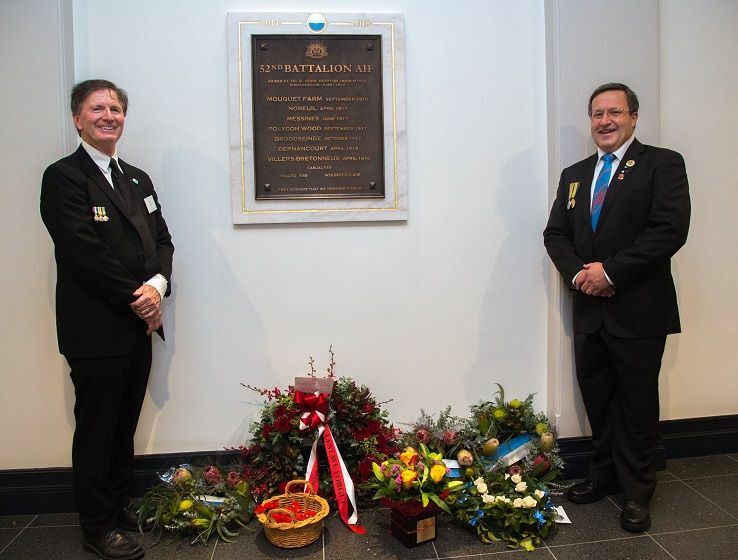 Conversations on social media led to the rediscovery of an important chapter in Queensland’s military history and, with the unveiling of a new plaque, this fascinating First World War story will be well preserved for future generations. The allies’ tremendous victory at Villers-Bretonneux on 25 April 1918 is widely recognised as one of the most pivotal battles of the First World War. What’s less known is that 450 soldiers who fought as part of the 52nd Battalion were Queenslanders. Until recently, the role of these men had been unrecognised in Queensland Anzac history—perhaps as the battalion was disbanded less than one month after the battle, due to the heavy casualties sustained. Surprisingly, it was not until a Facebook group formed that this incredible Queensland story was rediscovered. Historian and administrator of the 52nd Battalion Facebook group Dale Chatwin says family and friends of the soldiers in the 52nd Battalion started connecting and sharing stories about their forebears. They soon learned of the incredible role Queenslanders played at Villers-Bretonneux and felt these men deserved recognition for their bravery. “With a bit of research, we discovered that the 52nd Battalion had been exclusively reinforced by Queensland soldiers to replace the large number of casualties in 1916,” Mr Chatwin said. On the 100th anniversary of the Battle of Villers-Bretonneux—on 24 April 2018, the eve of Anzac Day—Queensland soldiers of the 52nd Battalion were immortalised in the Memorial Crypt at Brisbane's Anzac Square. 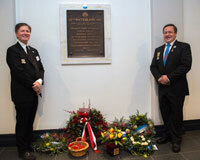 The development and installation of this new plaque was supported by the Redlands Returned and Services League Sub Branch and the Queensland Anzac Centenary grants program. This story—including the reaction of direct descendants of 52nd Battalion soldiers—will be shared in more detail in Issue Four of Salute, which is expected to be released in early 2019.